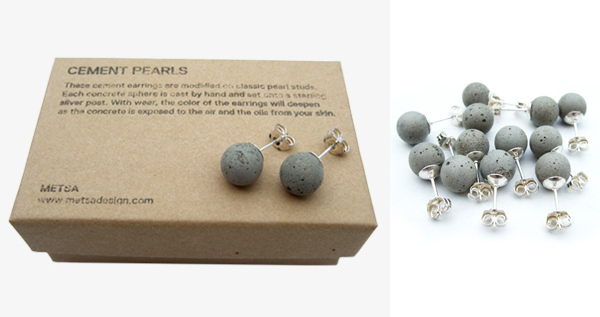 Cement earrings modeled on classic pearl studs. Each concrete sphere is cast by hand and set onto a sterling silver post. With wear, the colour of the earrings will deepen as the concrete is exposed to the air and the oils from your skin.